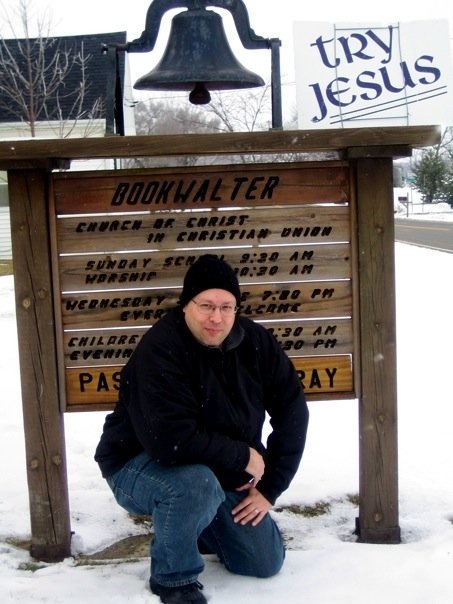 Blogging Bookwalter» Blog Archive » Bigfoot, the Loch Ness monster and… Bookwalter, Ohio? Bigfoot, the Loch Ness monster and… Bookwalter, Ohio? Long story short… when I was a kid I found this little town called Bookwalter, Ohio in an old road atlas. Situated in the “devil’s triangle” of Columbus, Dayton and Cincinnati, I often wondered just how small it was. My grandfather, a truck driver, once told me that he went through the tiny town and stopped to talk to some of the residents. Well, this past weekend I finally saw it for myself. And it was a good thing I didn’t blink, because I would have missed it all! Bookwalter, Ohio is just one minor tornado away from being a distant memory, I’m afraid… just two intersecting country roads and a collection of ramshackle house-wannabes. This entry was posted on Monday, February 25th, 2008 at 9:36 pm	and is filed under Family, Random Thoughts, Travel. You can follow any responses to this entry through the RSS 2.0 feed. Both comments and pings are currently closed.